In the gospel of Mark, we find an interesting story in which Jesus invited the disciples, some of whom were seasoned fishermen, to join Him on a little boat trip across the Sea of Galilee. But on the way over, they encountered a sudden, violent storm. Now the question would arise, did Jesus know that a storm was coming? The answer is yes. In fact, you might even say that it was a part of His curriculum that day. It was all part of teaching the disciples to believe what they claimed to believe. We don't want to make light of what these disciples were experiencing, because I'm sure this was a very harsh storm and a terrifying experience. Several on board had seen many storms on the Sea of Galilee, so it had to have been a most unusual storm for the disciples to be so gripped by fear. 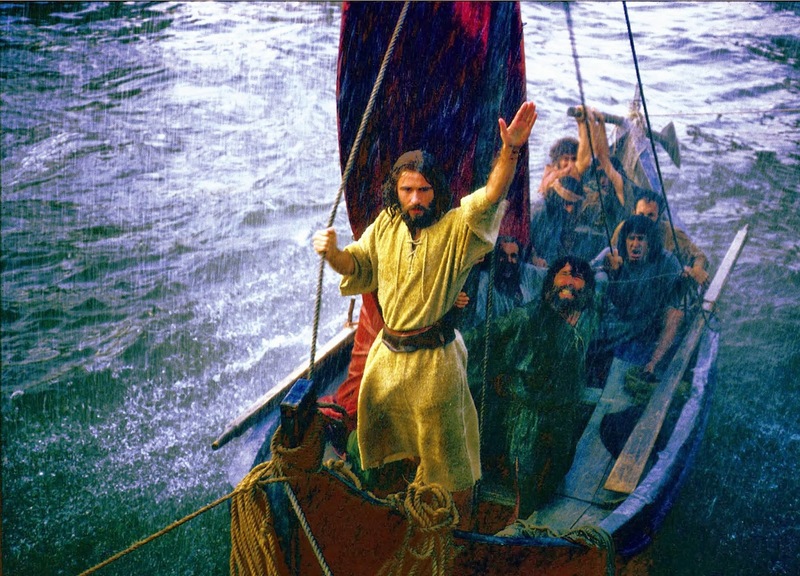 According to Mark's gospel, the waves were breaking over the boat and filling it with water. The disciples were very afraid, but they didn't have to be. Before they left, Jesus had made a significant statement they apparently had forgotten about: "Let us go over to the other side." And when God says, "Let us go over to the other side," it means you will get to the other side. He didn't say it would be smooth sailing. He didn't say it would be an easy trip. But He did say, "Let us go over to the other side." Often we are gripped by fear and cease to think logically when we forget God's Word to us. That is exactly what happened to the disciples. But Jesus was on board with them, and He was there to see them through. I really enjoyed this devotional today! Pastor Greg makes everything so easy to understand and I am so happy I have Jesus so I never have to fear anything because He is in my boat. I hope you have a Simply Heavenly day. God bless you!! !